We had two picnics to attend today: one for the Herma Heart Center, and the other for the Variety Club. 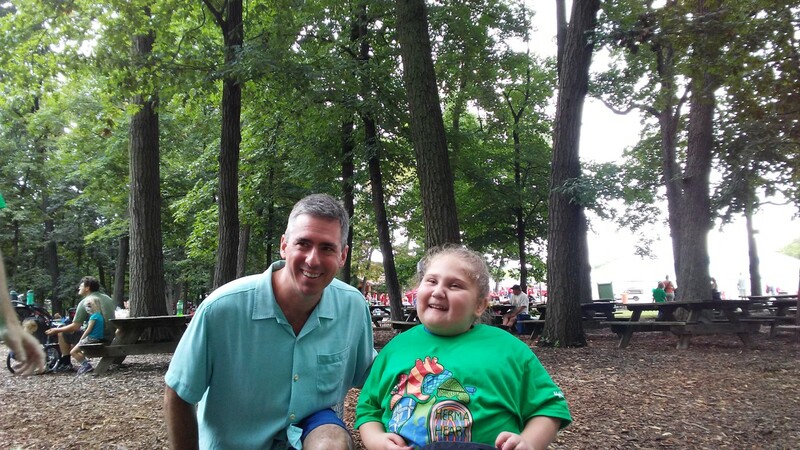 The Herma Heart Center picnic was at the zoo. We’re old veterans of the heart center, since Namine is eight years old. We reconnected with families and doctors we knew, and talked long about the terrors and joys of raising a heart kid. Namine with her three-time heart surgeon, Dr. Mitchell. There was cookie decorating and face painting at the picnic, so of course Namine did both of those things. We also got matching HHC t-shirts. We really love the design this year. The Variety Club picnic was actually at the YMCA where we have Miracle League baseball. There is an outdoor swimming pool there, so we brought our swimsuits. The nice thing about it is that it’s not just a pool — half of it is a zero-clearance splash pad, so Namine was able to get in the water herself. As Namine ventured further into the deeper water, she held onto the wall so she could stand on her own. 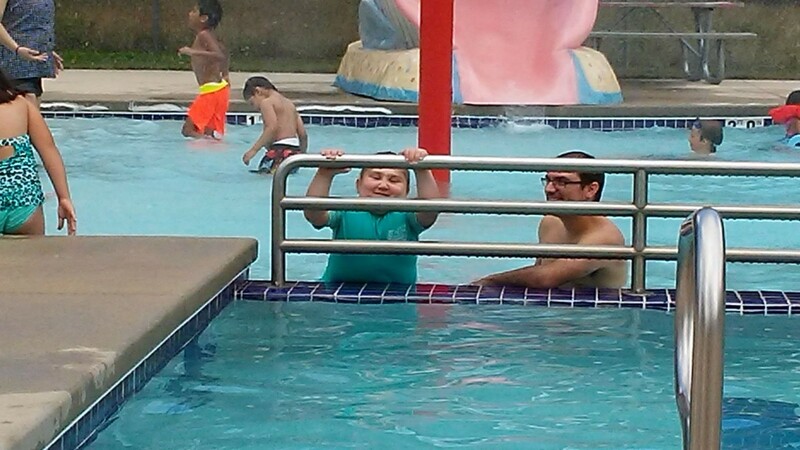 Grabbing the wall, she was able to sidestep a good distance down into the pool. Sidestepping is something that she’s spent no small amount of time practicing in physical therapy, so she was quite happy that she was able to do it on her own.